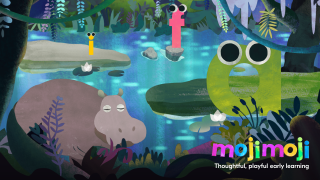 Moji Moji, which uses creative storytelling and visuals to teach ABCs, phonics, and spelling to children ages three to five, is now available for iPad in the App Store. Created with input from parents and educators around the world, the app combines a compelling visual style with a rigorous approach to literacy education. For more about Moji Moji, visit the app store here.